Drinking enough water is so important! Why not make it fun and luxurious! Drinking this water makes me feel like I’m on a tropical vacation. 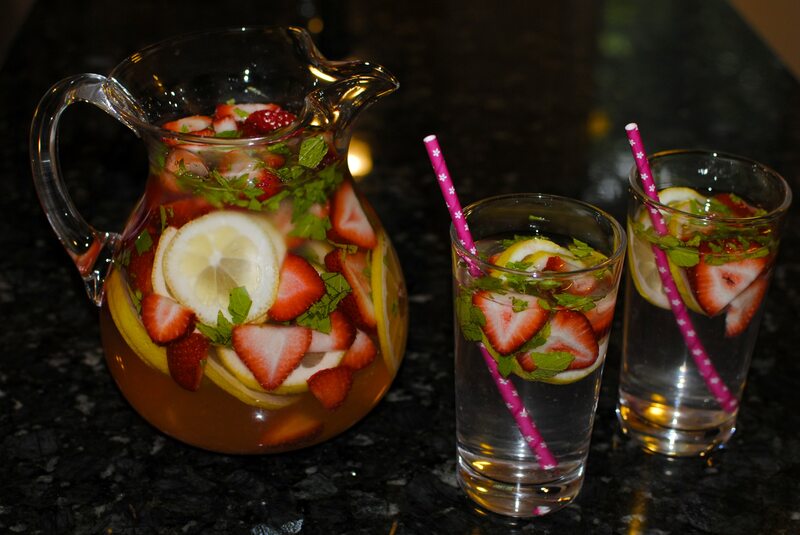 This Strawberry Lemon Mint Water is so delicious! Plus there are so many health benefits to all the ingredients. 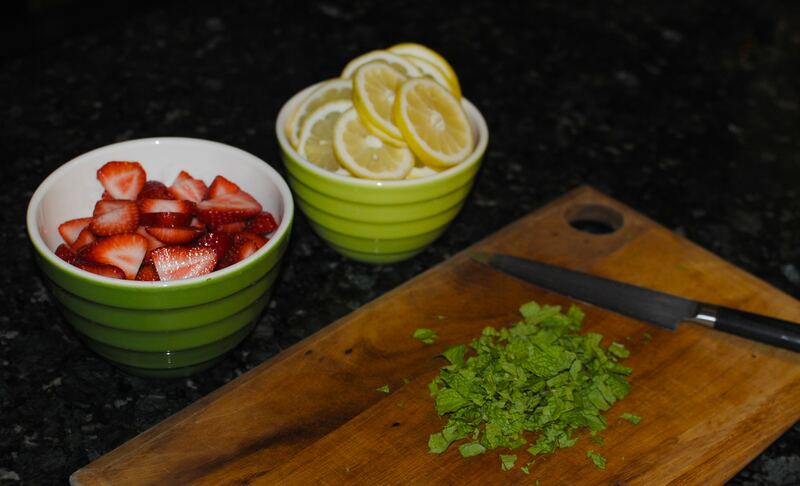 Strawberry: detoxifying, boost immune system, vitamin C, helps production of collagen and prevention of wrinkles, reduces inflammation, fights bad cholesterol, boost fiber. 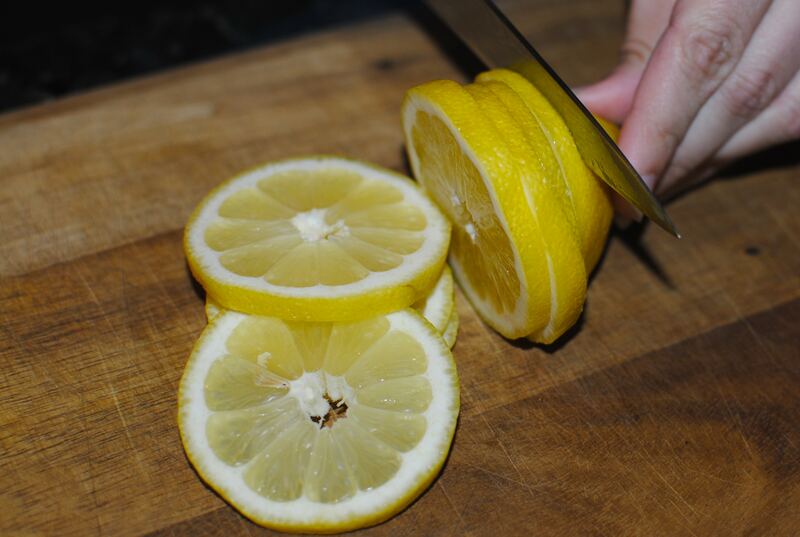 Lemon: maintains pH levels of body, detoxifies, Vitamin C, boosts immune system, prevents acne and wrinkles, weight loss, reduces inflammation and helps with joint pain. Mint: reduces digestion, nausea, headaches, depression, fatigue, stomach cramps, helps with weight loss, calming to the skin, full of antioxidants. 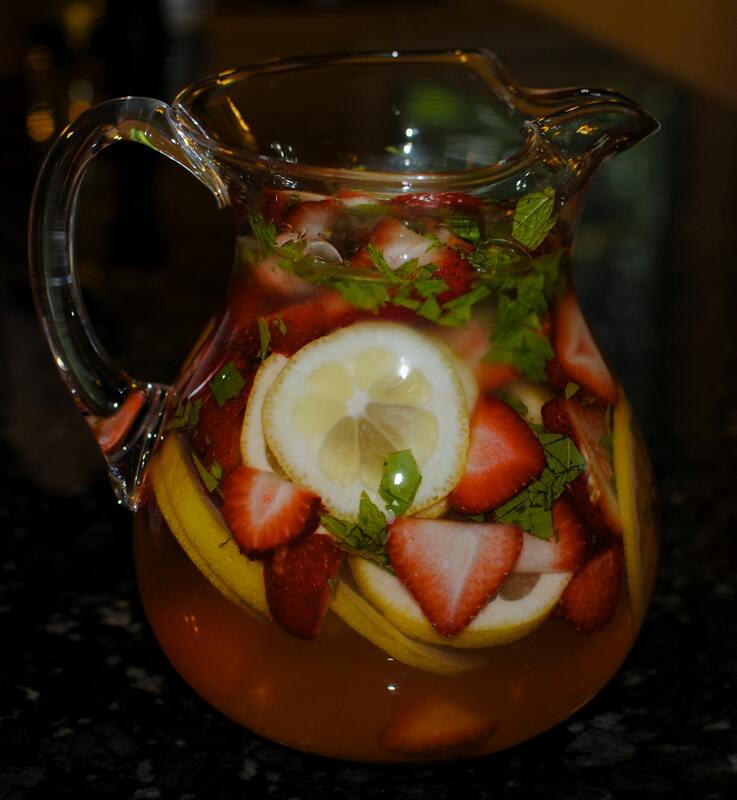 Place all ingredients in a pitcher and fill with water. Let it sit for at least 30 minutes before serving. 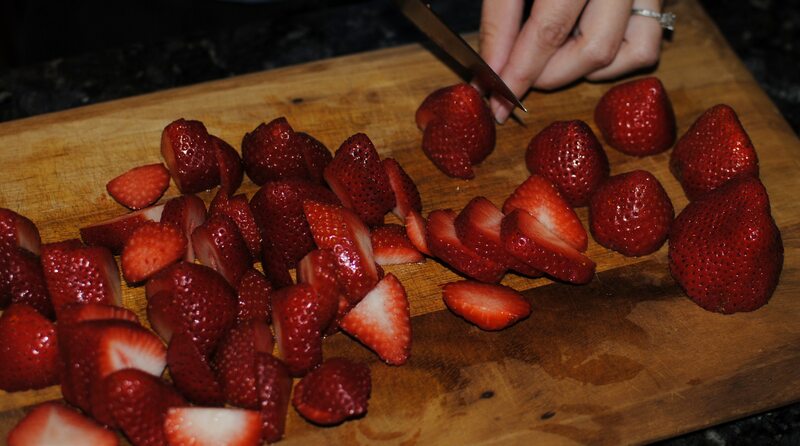 Lasts up to 3 days or until the fruit looks mushy or the water is cloudy. Pour through a strainer if you want to avoid getting any of the “goods” in your glass. Tip- When the water is all gone, you can refill the pitcher back up several times. The flavor won’t be as strong as the first time, but it’s still delicious! 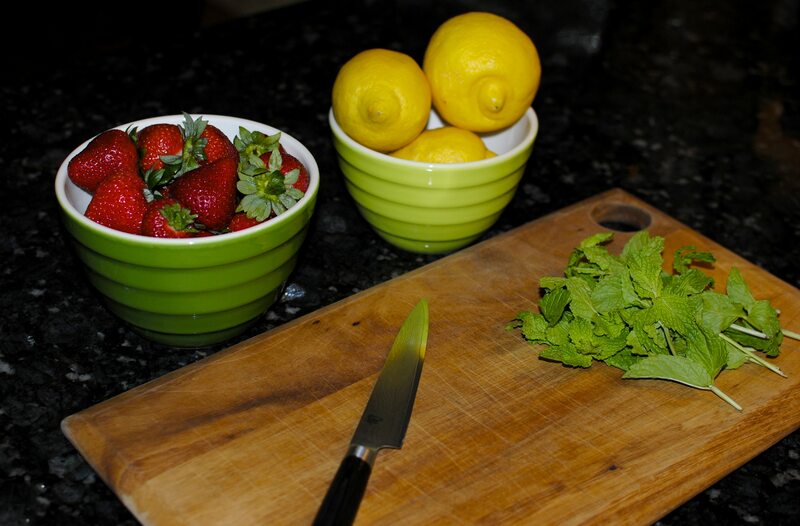 Pitcher & Shun Classic Utility Knife from Sur La Table.